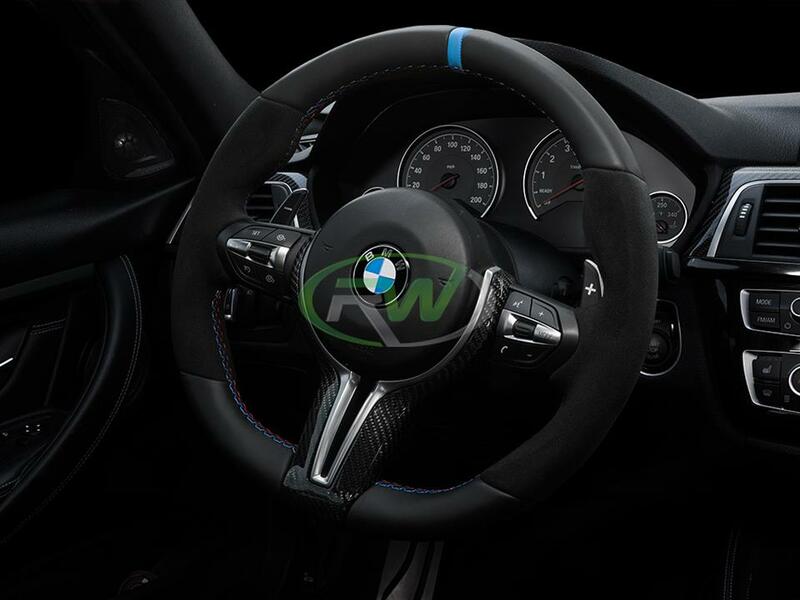 Upgrade the interior appeal of your F Chasis BMW M with RW's Carbon Fiber Outer Steering Wheel Trim. This steering wheel trim is constructed using a durable ABS plastic material, and overlayed using 100% genuine 2x2 carbon fiber fabric which is finished with a high quality clear coat to ensure it's longevity for years to come. 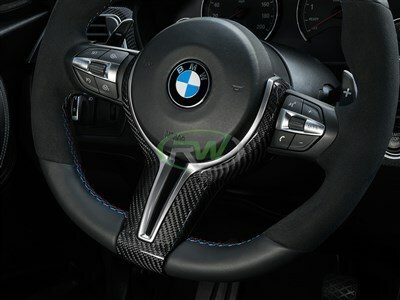 This steering wheel trim will fit all F Chasis BMW M models including the F87 M2, F80 M4, F82/F83 M4, F10 M5 LCI, F06/F12/F13 M6, F85 X5M, and F86 X6M. Each trim piece is meticulously inspected to ensure you recieve a perfect product. This is a replacement style product, so it completely replaces the existing black trim currently on your vehicle. 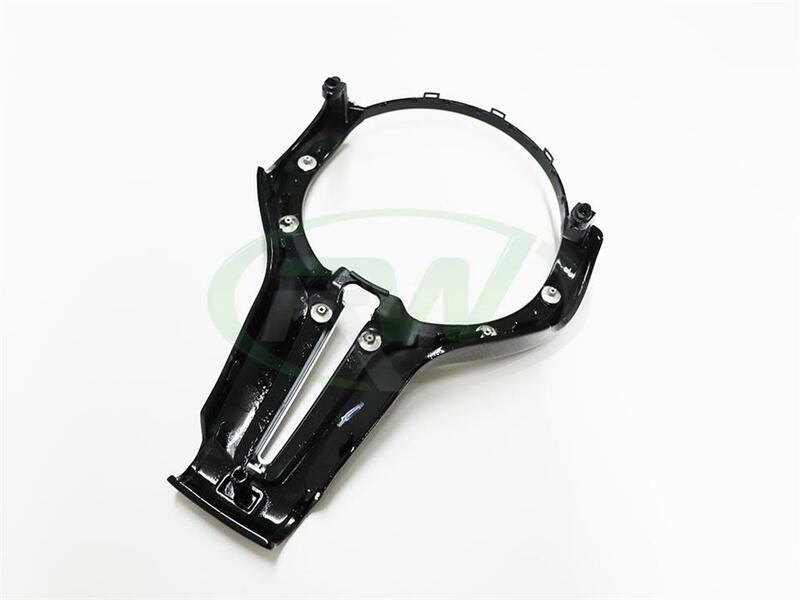 Professional installation on this M outer steering wheel piece is highly recommended as the airbag must be removed prior to installing the CF outer trim. 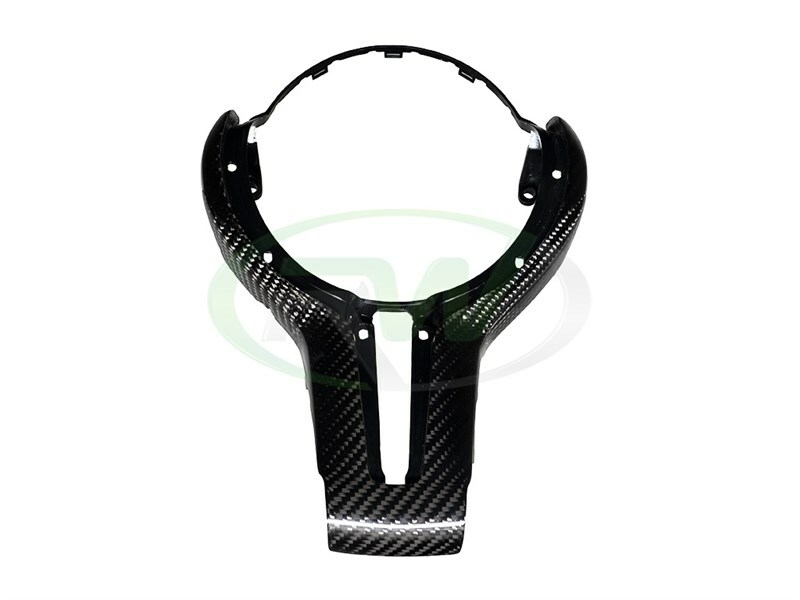 We know there are many companies out there claiming to have the best carbon fiber products on the market. We live by our moto, "One Goal, One Focus - Carbon Fiber." 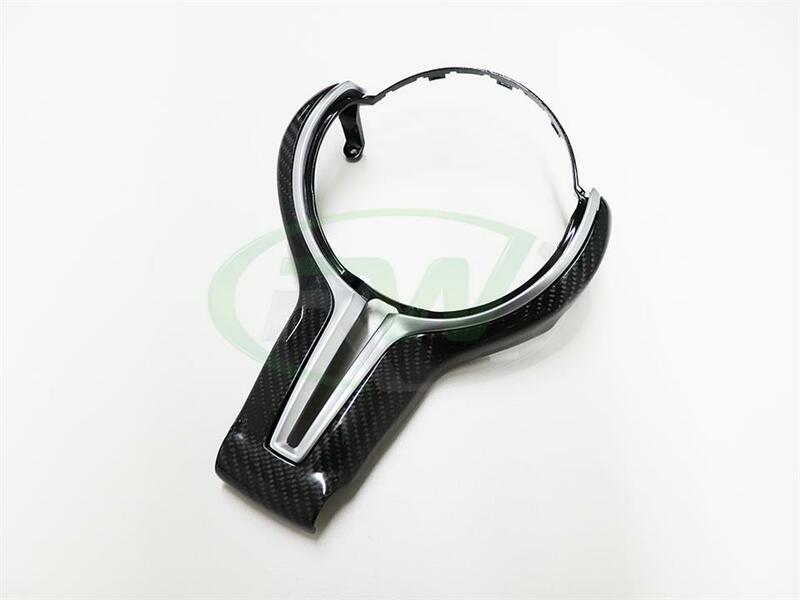 By only selling carbon fiber items, all of our time and resources can be applied to providing the best quality bmw carbon fiber parts at an impressive cost to quality ratio. Each item we ship out is quality inspected at our California warehouse. Our inspection ensures we do not send out any carbon fiber parts we wouldn't personally install on our own vehicles. 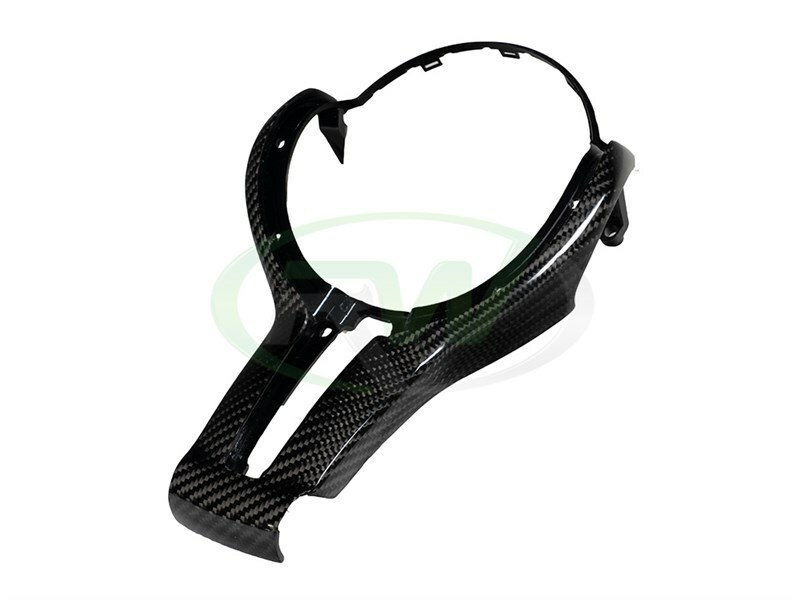 We are so confident in our BMW M carbon fiber items we back everything we sell with a fitment and quality guarantee. If you are not happy with the fitment or quality please contact us and we will assist you..